Hello Project Life card lovers! The sun is shining outside and my garden is calling me for a spring cleaning. 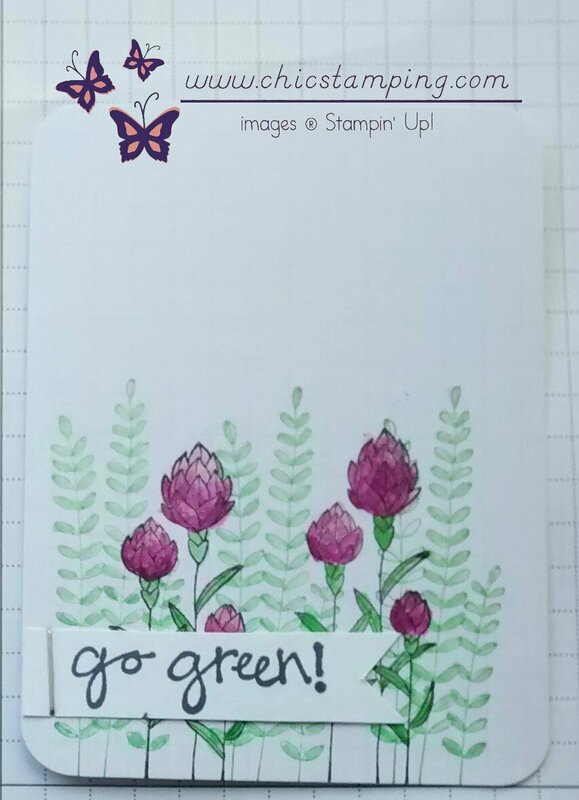 I choose to show this card today, because theses flowers remind me the one that I have in my garden! I love flowers with a rich and intense color. This card was made under 10 min! 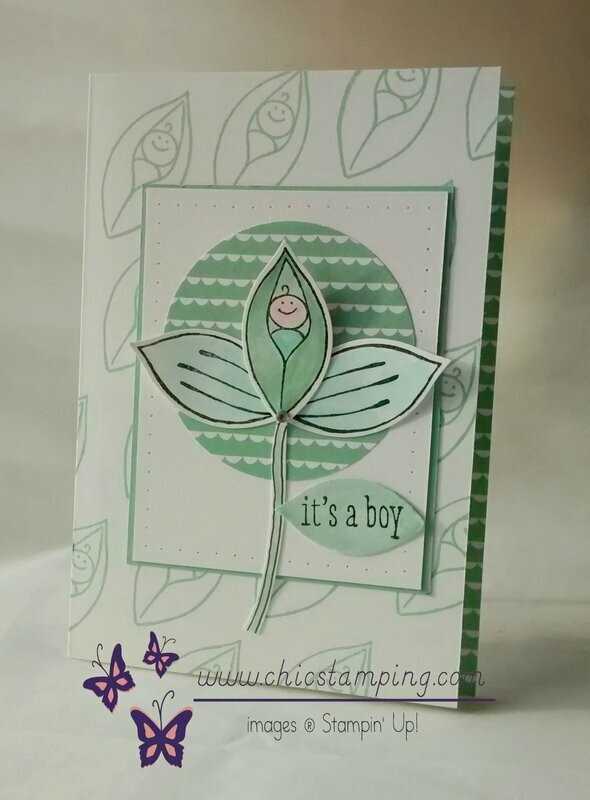 Flowering Fields free SAB stamp set. Stamp the ferns with Cucumber Crush. 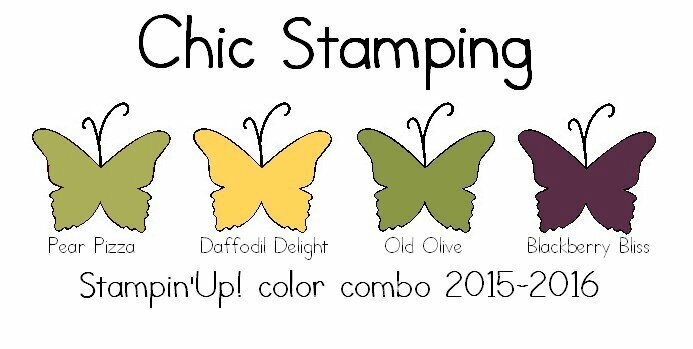 Stamp the flowers with Memento Black or Stazon. I do recommand Stazon if your aqua painter is too wet. Watercolor the flowers and the ferns. Let everything dry for a good 5 min. Cut a strip of whisper white and stamp your sentiment. Attach it to your card, I used a regular stapler. Color your flowers and ferns with the Wink of stella pen. Go fast. Let dry the first layer. Then repeat for more shines. Your card is finished. It was a very easy card!!! 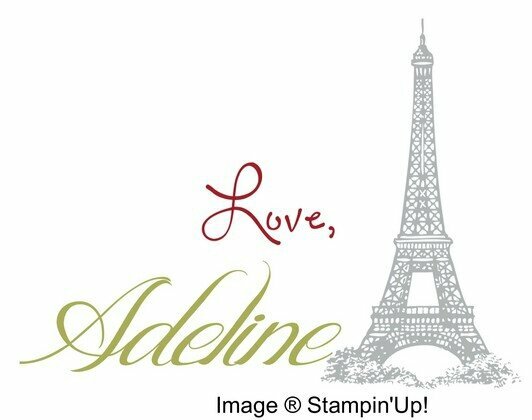 If you have any question, feel free to send me an email at Adeline7674@hotmail.com. I will be glad to help! Please keep in mind that theses instructions are for your personal use ONLY. 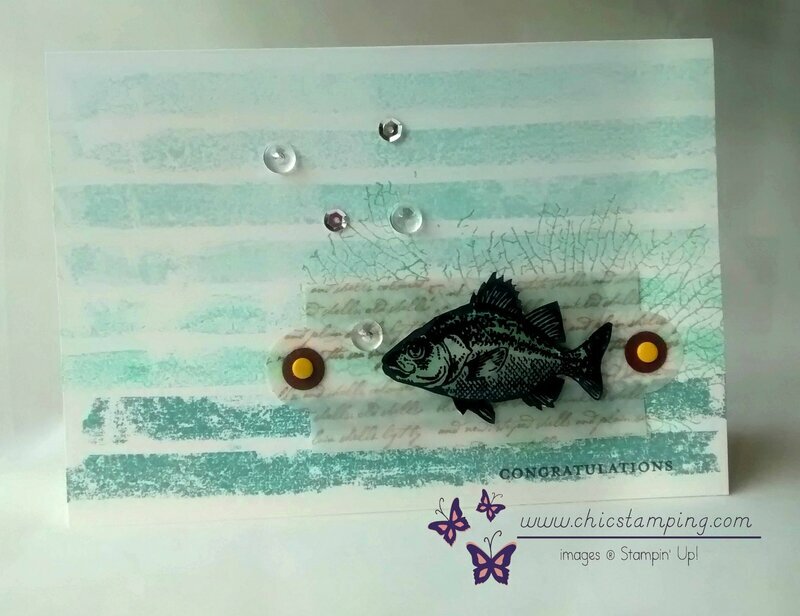 If you use this step-by-step and show it on social medias or during a , please do not forget to link it back to my blog: www.chicstamping.com. Thank you!